Comfortably inviting, like only a loveseat sofa with deep scoop seating, pad-over chaise, and pillow arms can. Once you've accepted the invitation to get comfortable, the fun doesn't stop. 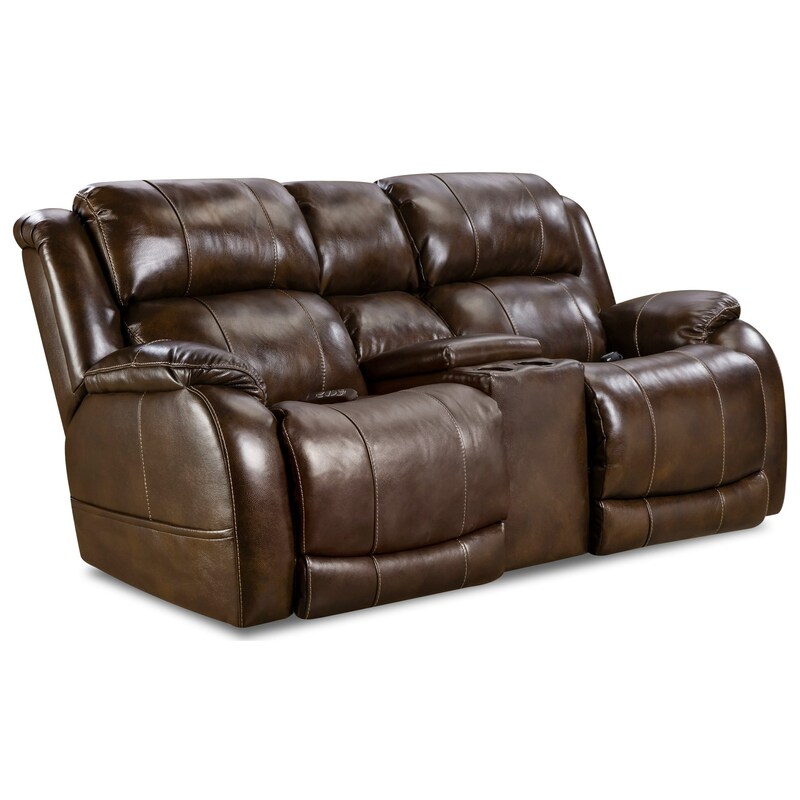 This reclining love seat features a power headrest, a power lumbar, and an extended footrest, making it easy to find the exact position you desire. The center console provides a convenient place to keep your drink with built in cup holders, as well as store remotes, magazines and anything else you'd like. The 170 Collection Power Reclining Loveseat with Center Console by HomeStretch at Miskelly Furniture in the Jackson, Pearl, Madison, Ridgeland, Flowood Mississippi area. Product availability may vary. Contact us for the most current availability on this product. Fabric Content Top-grain, cowhide leather with a polyurethane match. Customized comfort, your way. This collection features power reclining, power headrest and power lumbar to provide the ultimate in reclining customization. Covered in a top-grain, cowhide leather with a polyurethane match, this collection has a bold look that will add character to any room of your home. The 170 Collection collection is a great option if you are looking for Casual furniture in the Jackson, Pearl, Madison, Ridgeland, Flowood Mississippi area. Browse other items in the 170 Collection collection from Miskelly Furniture in the Jackson, Pearl, Madison, Ridgeland, Flowood Mississippi area.